Welcomed by the garden’s residents and now free of her symptoms, Syn decides to stay. But, before long, she realizes that t Synthia (Syn) Wade is a teenage girl who struggles with cystic fibrosis, an incurable life-threatening disease. One day she is pushed into a pond by an unseen figure and wakes up in a new world – a mysterious garden where illness and death don’t exist. To ask other readers questions about No One Dies in the Garden of Syn, please sign up. The Novel sta Cystic Fibrosis (CF) is a very serious and somehow personal topic for me. My beloved cousin died at the age of 24 of this incurable disease, and I remember her struggles from diagnosis until her death. When I was offered this title, I jumped right away at the opportunity to read and review this book. I felt that the premise of the book was great, and I was really curious about how the author was going to develop this story. I have to say that I was quite disappointed with this book. The Novel starts with Syn (for Synthia) Wade, a teenage girl struggling with CF who one day is looking at this pond in her backyard when she is suddenly pushed in the pond by an unseen figure and wakes up in this alternate world--a mysterious garden where no one is sick and illness and death do not exist. One of the things I felt that worked for me in this novel was Syn's character development. I think the author did a great job at depicting her struggles with the disease. The story itself is confusing and a bit slow moving for me. I love fantasy books, and I have no problem with the concept of alternate worlds, parallel universes, and so on, however, this is a concept that can be tricky and not always works well. Most of the book is extremely vague and you get the sense that questions will be provided by the end of the book. In fact, the reader does get some of these questions answered, but overall it remains a confusing story. As excited as I was for this book, it had the potential to go very wrong for me. I don't handle vague mysteriousness very well. If someone is trying to solve a mystery and just doesn't have all the clues yet, that's one thing. But when unexplained paranormal things start happening and everyone is just vague for no discernible reason, I usually feel like throwing my book across the room. And this book had a lot of vague, mysterious, paranormal stuff. But the payoff was so worth it. By the end of the book, I had every single answer that I wanted, and the explanation was quite a doozy, but in the best way possible! It was still in the realm of fantasy (maybe also a little sci-fi), but it made sense in that context and was shocking without making me feel like I was cheated or misled in any way. But what I loved even more about this book was the way the chronic illness was included. Number one, this was a fantasy book with a chronically ill character. You don't see that often. Fantasy is a genre severely lacking in diversity in that regard. Number two, the book wasn't about chronic illness, it was about a character... whose life just happened to be affected by an illness. It played a big part, but it wasn't the only part---more of an influence on things than a focal point. And number three, the illness was something very real, not something that turned out to be a paranormal thing in the end. And though I don't know much about cystic fibrosis myself, it seemed like the author did his research. He also did a good job pointing out the types of things many of us without CF take for granted, like simply being able to cry when you're sad without having to worry about making any lung symptoms worse. As for all the rest, well, I ended up finishing this book in a day because I didn't want to put it down, so I can safely say I really liked it. The plot was good, the writing was good, and the main character was determined and likeable. She made a lot of rash decisions, and a couple of them were not the best and didn't make sense to me, but most of them were understandable. Also, is that cover not gorgeous?! Overall, I thought this book was great with a well done paranormal mystery that included chronic illness in a really good way. I'm even more excited for the next book than I was for this one! 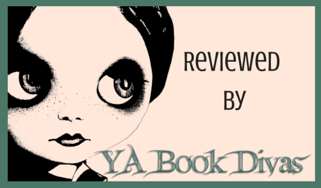 Anyone who likes young adult, parallel universes, creative premises, and chronic illness rep. I picked "No one dies in the garden of syn" due to having Cystic Fibrosis myself and I'm always intrigued to read stories about it. I love what the author did here, very intriguing and many twists. Syn works everyday to survive... Taking endless pills and constant treatments. You see her struggle on a daily basis with the never ending coughing and breathlessness.... Certainly not fun to deal with but that's CF! Suddenly Syn ends up in this other place, it's exactly I picked "No one dies in the garden of syn" due to having Cystic Fibrosis myself and I'm always intrigued to read stories about it. Suddenly Syn ends up in this other place, it's exactly like home... Or is it? Welcome to The Garden where no one dies, everyone is healthy. Including Syn, who for the first time can breathe. But nothing is ever that simple and soon Syn finds out the harsh reality of her new world. If you are looking for something original then look no further! The story line comes to life right in front of your very eyes and the characters are beautiful. An inspiring and emotional read that people of all ages will love. At first, due to the situation of Syn having a cystic fibrosis, I thought this book would be like those depressing novels with a very ill and dying protagonist but it's absolutely so different from those. Honestly, I didn't know much about the said illness, but while reading, I learned that it's something like an illness which mostly affect the lungs; mucus build up in the lungs that causes for the patient to have a hard time breathing. Michael Seidelman was a great story teller. My reading progress was very short and fast because of how light the writing style was. His words were easy to follow considering the medical and scientific terms needed in the story. Every time Syn was having an episode, it's almost pretty much like I was actually experiencing the same hard time in breathing as Syn. But of course, it's not just about the illness of Syn. It's about the world where Syn was taken because of her illness, and that's the thrilling and mysterious part of the whole book. Syn was pushed into their pond at home, and when she woke up, she found herself on a cabin in the Garden of Syn. When Syn got transported into another world, it kind of reminded me of Alice in Wonderland, except Wonderland was more magical and unearthly. Garden of Syn was an alternate world of Syn's real world --- it's still very mundane but the thing about this world was well, no one dies in the garden of Syn. lol. The world-building was really great. It was both out of fantasty and sci-fi imagination. There's so much mystery about the Garden of Syn that I found myself reading until 3AM --- which I only do when I really really like a book and when I'm just getting in too deep into it. I've never read Miss Peregrine's Home for Peculiar Children yet, but Garden of Syn kind of reminded me of when I saw the movie trailer of Miss Peregrine's. It's spooky and eerie in a good way, and very very much Tim Burton-ish (if you love Tim Burton's movies and a fan of him, you'll get what I mean). Overall, No One Dies in the Garden of Syn was a great mixture of mystery, some adventure, and spooky feeling all in one book. It's a great debut novel and I just found myself wanting for the sequel immediately after finishing this one. I need the 2nd book!!! Syn is a teenage girl who is struggling with cystic fibrosis (CF), which is a disease that affects the lungs. Syn has a routine that she must complete each morning just to be able to make it through the day. Every day of her life is a struggle due to a non-curable disease. The doctors have told her she would most likely only live into her twenties. I think the idea of knowing how much time you have left has really affected Syn as a person. She doesn’t want to get close to many people. Syn lives Syn is a teenage girl who is struggling with cystic fibrosis (CF), which is a disease that affects the lungs. Syn has a routine that she must complete each morning just to be able to make it through the day. Every day of her life is a struggle due to a non-curable disease. The doctors have told her she would most likely only live into her twenties. I think the idea of knowing how much time you have left has really affected Syn as a person. She doesn’t want to get close to many people. Syn lives with her aunt who takes care of her after her parents disappeared when she was young. She is then pushed into the pond in the garden and discovers a parallel universe where she is no longer sick and some crazy things are going on that just don’t add up. I connected with Syn as a character, she was very well written. The author did a great job describing her constant struggle that she has and what her symptoms are. Syn has been suffering her whole life so she is constantly aware of her disease and condition. It is hard for Syn to get close to people and she said she only has one true friend who is also very sick and going to not live long. I think during the course of the book Syn discovers a lot about herself while being in the garden and really matures. At the end of the book she is a much stronger individual and someone who is looking to make changes in her life for the better. The story is a little slow moving to me, there are a lot of questions that pop up in Syn’s mind and my mind as a reader and it takes time for everything to unravel. I feel like I wanted bits and pieces to fall into place a little sooner to grab my attention more there were parts I felt almost like it dragged along since I didn’t know what was going on or how to piece everything together into the puzzle. Towards the end of the book the action really picks up and we get a lot of answers to all the questions that where pilling up for the reader. The ending of the book is amazing! I think the best part of the story is when Syn goes back through the portals to the other universes and sees what else could have happened to her. It was a really interesting part of the story and something I would have loved to read more about the other universes and other characters in those universes. The author did a great job with the descriptions of the book and making the reader feel like they were in the garden as well. The fog portion of the book was a little confusing, but then made sense after explained. The fog was also a little distrusting to me and a little dark in nature. The story does take more of a dark turn towards the end and makes you question if you really know anyone. I would suggest this as a nighttime read; it was easy to pick up and put down. The story was easy to follow along. A mystical and magical story with twists and turns that keep the reader engaged and on their toes. Syn has cystic fibrosis. She knows that she has a terminal illness, but is relatively accepting of that. What she has had trouble accepting since she was a young girl is why her parents mysteriously disappeared, where are they, and what happened? While sitting in her garden as the edge of the pond, Syn is pushed into the water. Soon she finds herself in a Garden, much like hers, but different. Here she is healthy and able to enjoy life in a way she wasn't able to do before. She also finds that she has a lot of questions and that this Garden surrounded by fog, just may have the answers. As she slowly pieces things together she begins to build a bigger picture in regard to her parents disappearance and several other things. The overarching question is...what is worth knowing and to what degree should one go to get answers to their questions? What lines and barriers should be accepted and not crossed as vs finding ways around them? How far does one push to find the answers they are seeking yet in the end may not provide a complete picture? Started reading in the evening - didn't want to stop. Going to bed late I picked it back up in the morning and finished it off to learn what was amiss in the Garden of Syn. Lots of fun! This is like Alice in a very dark Wonderland. The author’s imagination is vivid taking you along on a twisted ride. Entertaining and wondrously imaginative, I highly recommend it. fibrosi cistica, una patologia grave ma non così "pubblicizzata". Con tutto il rispetto per chi è affetto da una qualsiasi di queste patologie, è chiaro. No one dies ci parla di Synthia, detta Syn, malata appunto di fibrosi cistica. Ci viene spiegato come lei reagisce alla malattia, quale cure deve affrontare ogni giorno e quali effetti ha sulla sua vita. Non può correre, non può nemmeno piangere, altrimenti i suoi polmoni si riempiono di liquido e lei non riesce più a respirare. Ma un giorno, dopo fibrosi cistica, una patologia grave ma non così "pubblicizzata". Con tutto il rispetto per chi è affetto da una qualsiasi di queste patologie, è chiaro. Ma un giorno, dopo aver visitato la sua amica morente in ospedale, Syn si siede vicino al laghetto dietro casa. E lì qualcuno la spinge dentro. Ma anzichè affogare, Syn sbuca in un altro mondo, uno splendido giardino pieno di persone gentili. Non solo, Syn non è più malata. Vi starete chiedendo se è morta e se quello è il paradiso, ma no, non è così. Conosceremo però la gioia di Syn che non soffre più per la malattia ma al contempo la sua preoccupazione per aver lasciato sola la zia, e il suo altruismo nel voler portare anche la sua amica in quel luogo. Ma ben presto si accorge che c'è un prezzo da pagare per quella serenità. La nebbia avvolge i misteri di quel giardino e Syn lotterà per tornare a casa, nonostante questo significhi tornare a combattere la fibrosi cistica. Ammetto che mi è piaciuto molto, fino ad un certo punto. I misteri che pian piano spuntavano rendevano la narrazione molto interessante e appassionante, ma poi sono iniziati a diventare troppi e troppo confusi. Mi sembrava di essere in una puntata di Lost, e non sono mai riuscita ad andare oltre la seconda puntata. Da fantasy/drammatico/ya è diventato scifi/ya/quasi horror, e verso la fine ho perso un po' il senso. Mi aspettavo curasse di più l'aspetto terreno e drammatico della malattia, che fosse più introspettivo, e per questo mi ha deluso un po'. Ecco perchè non raggiunge il punteggio pieno. Rimane comunque una buona storia misteriosa e originale, scritta bene perchè appassionante e con un livello non troppo difficile di inglese. Really interesting read. I was not expecting that ending. Wow! No One Dies in the Garden of Syn was a rather intriguing story. Synthia (Syn) has cystic fibrosis (CF), a terminal illness. When she was just a child, her parents disappeared. She has always wanted to know that happened to them and now she might finally have a chance. Sitting at the edge of the pond in her garden, Syn finds herself pushed into the water. When she awakens, she isn’t in her garden anymore. The Garden, a garden Really interesting read. I was not expecting that ending. Wow! Sitting at the edge of the pond in her garden, Syn finds herself pushed into the water. When she awakens, she isn’t in her garden anymore. The Garden, a garden with certain similarities to her own garden. However, in this garden, Syn is not suffering from her CF. She is healthy for the first time in her life. The longer Syn stays in the Garden surrounded by walls of fog, the more she learns. Slowly she is able to piece some things together though she still lacks the full picture. The further along the story got, the more guesses I was able to make. However, even with the guesses I did make, I did not guess the entirety of the conclusion. The ending also left a rather terrible cliff-hanger. I think the overarching question posed by No One Dies in the Garden of Syn is how far one is willing to go to save one’s loved ones. Are their barriers that shouldn’t be crossed? Are there options that shouldn’t be discussed? I received this book for free from the publisher via YA Bound Book Tours for review consideration. This in no way affects my opinion of the title nor the content of this review. What a unique book! This intriguing book is like an alternative trip into a Wonderland with alternate realities and a lot of twists! The storyline is absolutely original and creative, the dialogue was perfect and the characters are complex with palpable emotions! I was absolutely gripped by this story from the very beginning and was along for the ride the whole way! There are absolutely no boring parts- in fact there's quite a few twist and gets more intriguing as the book goes on! I absolutely What a unique book! This intriguing book is like an alternative trip into a Wonderland with alternate realities and a lot of twists! The storyline is absolutely original and creative, the dialogue was perfect and the characters are complex with palpable emotions! I was absolutely gripped by this story from the very beginning and was along for the ride the whole way! There are absolutely no boring parts- in fact there's quite a few twist and gets more intriguing as the book goes on! I absolutely enjoyed reading this book and can't wait to check out the second book in this series! Very well written! This was a truly great read. The protagonist is a young girl with a terminal condition who stumbles into an alternate reality. What happens after that is a fascinating tale of Syn discovering everything she has dreamed of, or so she thought. Each reveal brought new hope while paired with new apprehension about what might follow. Through the story, Syn not only discovers more about her background but she also matures into a braver version of herself with internal struggles and vu A gripping story! There are so many unexpected twists that I'm constantly searching hints. This book is super intriguing and I finished both books within a day and honestly I cant expect any more from a YA book, the science factor added a spice to the whole story ( how can you resist a story talking about parallel worlds ?) There are some creatures yet the vivid descriptions help you imagine them clearly. and there is not a single page of breath and boredom , it does not feel dragged on at all! Beautifully imaginative. Easy and enjoyable read. The concept of living without illness is always something that is on our minds as humans. 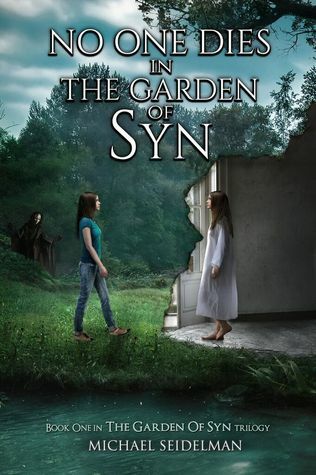 Illness is one thing that can change the way that people live, and by creating a place with The concept of No One Dies in the Garden of Syn is utterly intriguing, but the extensive descriptions in this novel make the writing slow to read. I had a hard time getting through this novel, but I am confident that if the narrative style were changed and many descriptions were deleted this novel would be successful. I received this book as a Giveaway from Good Reads and was really excited when I read what it was about. There are not many good fantasy YA novels that center around young adults with illnesses, especially not CF. I have a very good friend with CF and so I think I am slightly more aware of the issues and struggles that people with CF face (though admittedly, not nearly as familiar as someone who has it - don't want to sound like a martyr here). This all said, "No One Dies in the Garden of Syn" w I received this book as a Giveaway from Good Reads and was really excited when I read what it was about. There are not many good fantasy YA novels that center around young adults with illnesses, especially not CF. I have a very good friend with CF and so I think I am slightly more aware of the issues and struggles that people with CF face (though admittedly, not nearly as familiar as someone who has it - don't want to sound like a martyr here). This all said, "No One Dies in the Garden of Syn" was a HUGE disappointment. Though I thought the ideas put forth by the author were interesting and offered a new take on the "falling into a magical new world" genre that is popular in YA novels, and though I loved the realistic depictions of a character with CF, I thought there were many faults with this book and that it is in need of serious re-write. First of all, with the exception of the main character Syn, there is almost NO character development (and even she seems a little fake and heady sometimes), which make it difficult if not impossible to feel the intended emotional impact of the surprising twist ending. Every "impression" that we have of a character comes from Syn's statements "I immediately liked this person." The author suffers from a serious inability to show, rather than just tell. Because of this, I find it hard to take Syn very seriously since I don't feel like i have a real sense of her as a person. This made it difficult to get through her occasional wannabe philosophical monologues about how "all life is precious." Moments where she was supposed to be sound deep and wise beyond her years, mostly just felt contrived - like the author was speaking with the characters mouth, rather than the character speaking on her own. It really pulled me out of the story. My last major issue with this book, is the excessive exposition that suddenly comes out in the last 15 pages. The author introduces us to some complicated ideas regarding the multiverse which some fold in his intended audience might struggle grasping right away. The explanations of the rules and how the world works are complicated, but the author blows right through them barely giving us a chance to understand what is really going on in the Garden and how it came to be. I am not sure what his excuse is because it isn't to get to the action-packed climax - after the build up, Syn's final showdown with the "bad guy" is incredibly underwhelming and brief. The Book 'NO ONE DIES IN THE GARDEN OF SYN' (Book One of The Garden of Syn trilogy) surrounds the life of a teenager named Syn short for (Synthia) who suffers from a disease named cystic fibrosis which is a bad disease that creates mucus and gives the person trouble with breathing. Her parents disappeared at a very young age with her disease following up to her and with the wish of possibly knowing what happened to her parents she is pushed out of nowhere into her garden's pond in which she comes to discover a new world. Once entering this world 'The Garden' she notices that she is free of the disease and while staying in this location she would be completely healthy. But while staying there she notices something strange and begins to questions things that happen at The Garden. She questions who pushed in the pond? where is she exactly and how can she get home. Also through navigating the garden she comes to see a mysterious woman who wears a mask and whom everyone is scared of and no ones talk about. In the notice of the mysterious fogs she believes that if she goes through those fogs she could possibly be able to go back home but then again she does not want to return to the life of a weak sick child. In the process of staying in such a peaceful place, she gets to meet such nice people but not always is those people truly nice. The book at first was slow for me because it seemed like the welcoming to the Garden took forever and the discovery of the masked women but, then at the end I understood why the author did it the way he did. The writing format was easy to understand and I loved the way the author described the disease in such a way that you did not have to be a doctor to understand. The ending had his twist which left me surprised definitely and I simply can't wait to read the next book in the trilogy. P.S Thank You for trusting me in reviewing your book and sending it to me! Please visit me at Shh, I am Reading for more reviews and featured authors! From the premise of this novel, I was looking forward to reading this. It seemed really quite interesting, a parallel world where people could exist without pain or sickness. I am sure there are terminally ill and permanently ill people out there who have dreamed of worlds like this. However, I did have an issue with the pace of the story. It tended to I received this eBook from the Author in exchange for an honest review. However, I did have an issue with the pace of the story. It tended to drag in many places which slowed the story down to a snail pace. Although Synthia's curiosity was quite refreshing and she didn't just agree to ways of those in the garden. Yet, at the same time, there was nothing remarkable about her either. This is a debut novel, so there is plenty of time to expand on Syn's personality and give her a little more depth as well. I didn't enjoy this as much as I thought I would. It was an ok read but I was expecting more...depth? Or something, I feel like the book only scratched the surface of the world the author created. Possibly its because there was a lot of telling instead of showing. But I still enjoyed it, the plot twists were nice, and I enjoyed the world the author created. Just wished there was more meat to the story. It was quite a mystery. I didn't know what would happen, and found the ending twists and turns very satisfying. Give it a read! A rollercoaster ride. Syn is battling cystic fibrosis as she drops down the rabbit hole. Enjoyable. Perhaps I’m biased as the author but I think I came up with something special here and I look forward to sharing it with the world! He is currently putting the finishing touches on the second book in The Garden of Sy When Michael Seidelman was growing up, his passions were reading, watching movies, enjoying nature and creative writing. Not much has changed since then.